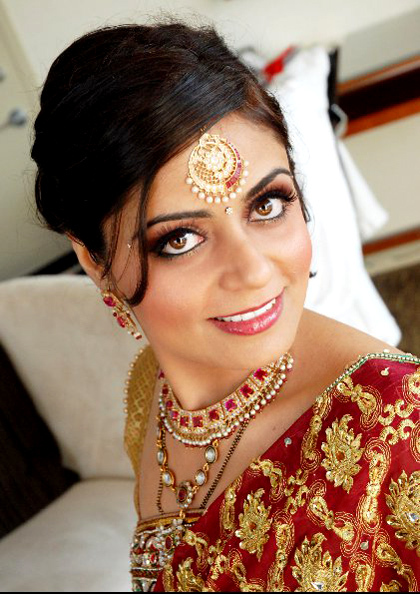 As a bridal makeup artist, I always take into consideration the attire and accessories that the bride will be wearing. 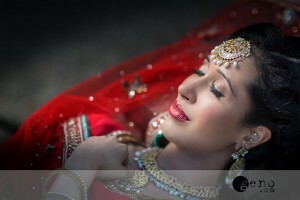 My bride Puneet loves pearls and had chosen some beautiful pearl jewelry to wear with her bridal lengha. 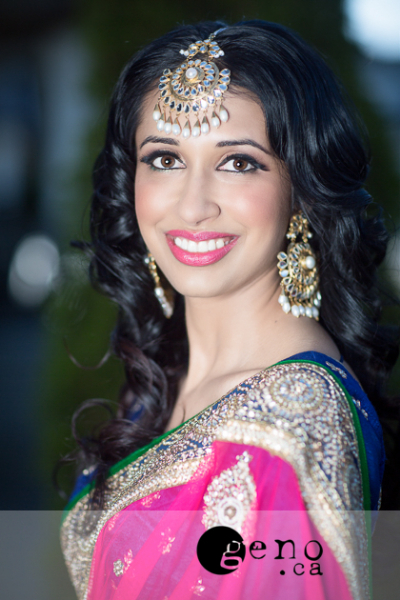 When I see pearls, I see classic simplicity that is very elegant when worn correctly and with the right makeup. 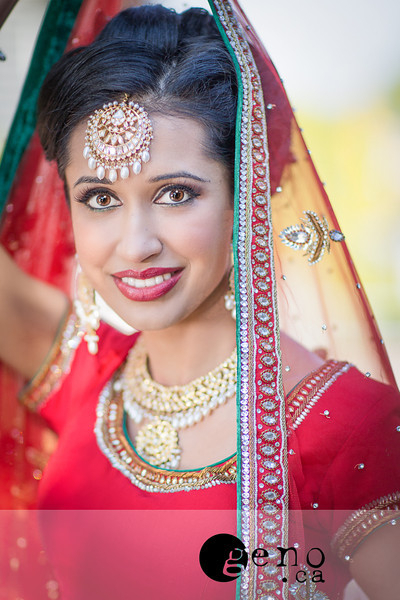 So when it comes to doing a makeup application I had to take into account that this precious white stone will bring a lot of life to a bride’s face. 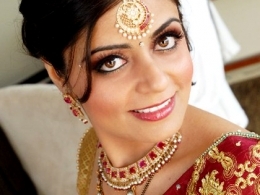 So the makeup application needs to simple with a little drama in the eyes so that you will not lose effect of the pearls and the final look will be as elegant as the pearls themselves. 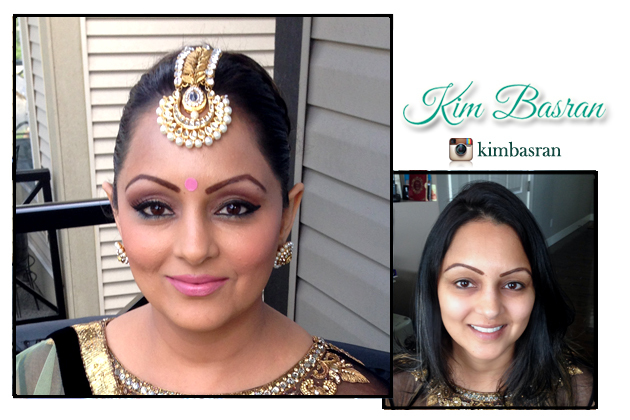 When designing Puneet’s custom makeup application, I choose to use soft browns, pinks and creams. 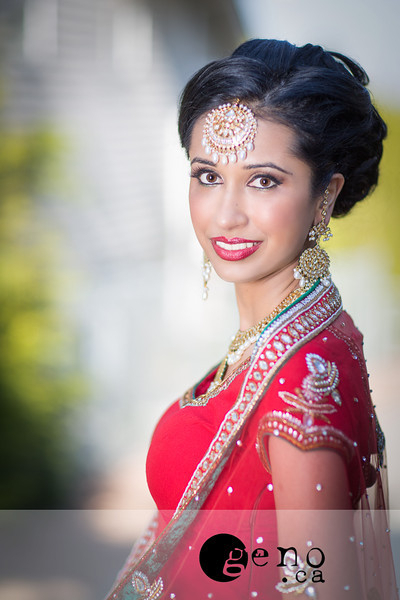 Puneet’s wedding outfit was a gorgeous shade of red so I wanted to make sure the majority of her face was subtle in order to incorporate a bold red lip that brings the whole look together. 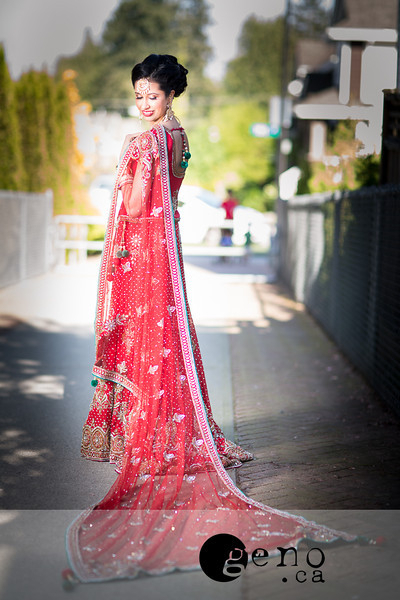 What we have now, is a modern take on a traditional Indian bridal look. 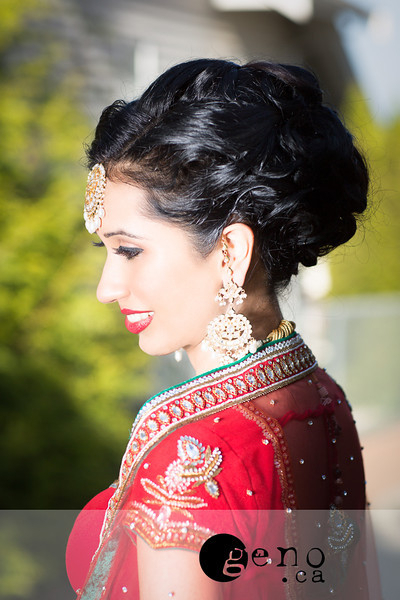 Puneet looked stunning at her wedding and I believe this look is as classic as Audrey Hepburn in “Breakfast at Tiffany’s”. 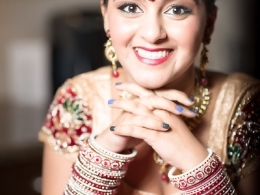 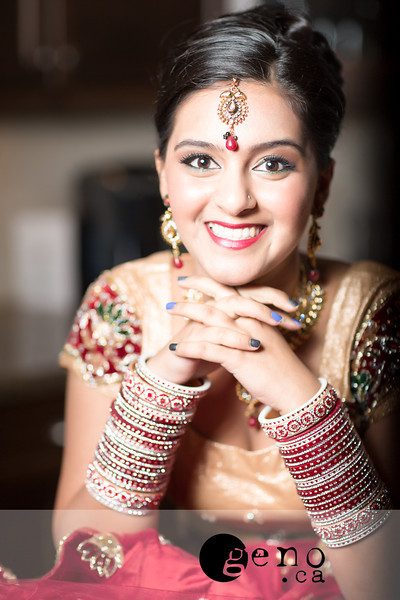 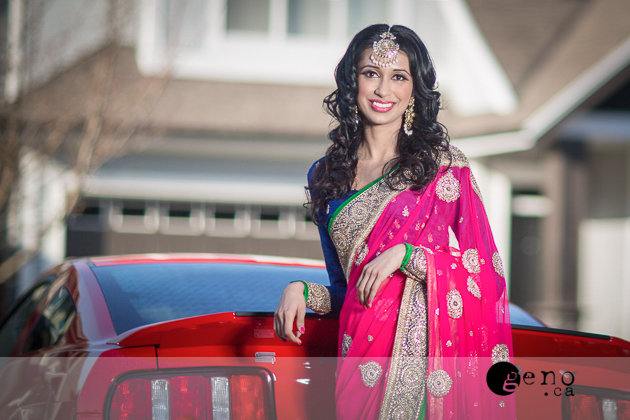 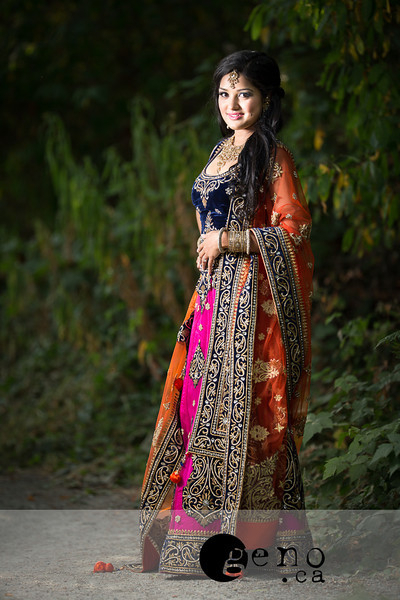 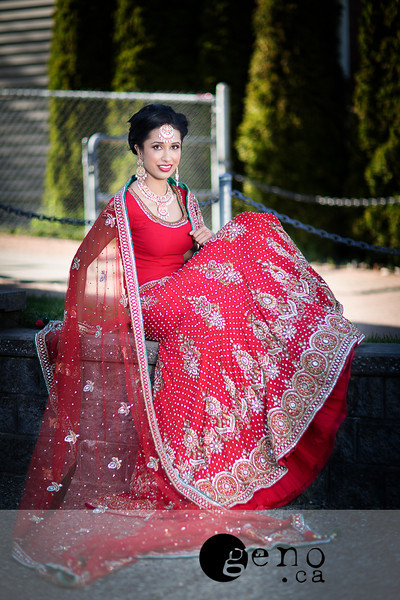 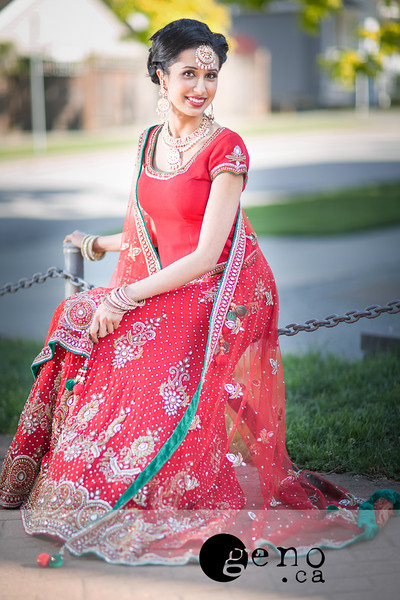 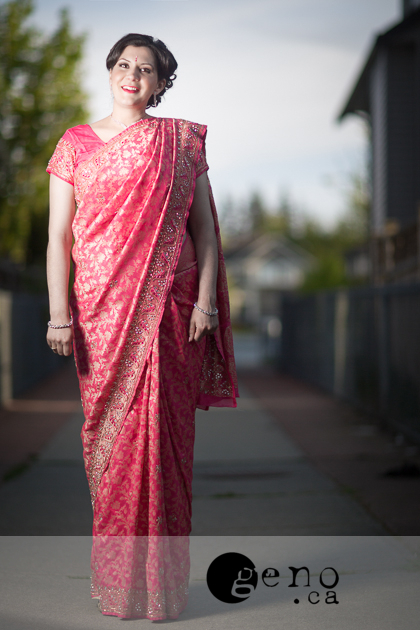 Puneet may not have worn a crown at her wedding but she definitely looked like a queen! I believe that Puneet will always be able to look at wedding album and be happy that she chose a classic look that will forever be in style. 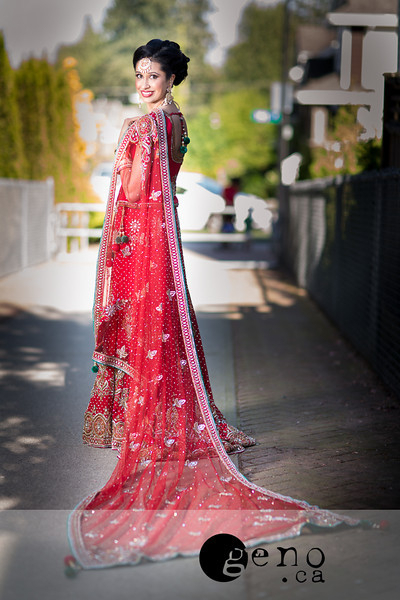 That is my goal for all of my brides. 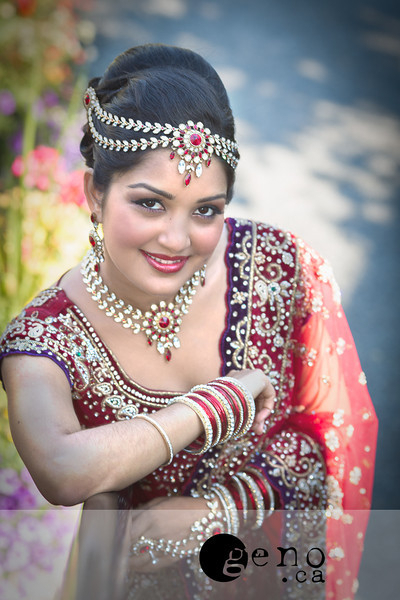 – To create a look that they are proud of now and forever. 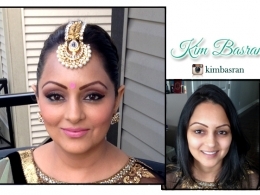 Enjoy the photos and remember if you are looking for a makeup and hair artists that are also experts at styling, please call the Kim Basran team at 604-785-9001.